I proclaim this year the Year of Me. And yes, I know that its 59 days into 2011 and this post should have gone up around the first week of January. As usual, I had the best intentions but somewhere around the holidays, I got sick and by the time January came around, it had turned into bronchitis. The next few weeks have become a blur as I have tried to catch up on everything with work and my home life. Then add into that another personal setback in my life that took me off track again. With too many distracted days, trying to get healthy days and trying to get caught up days …. 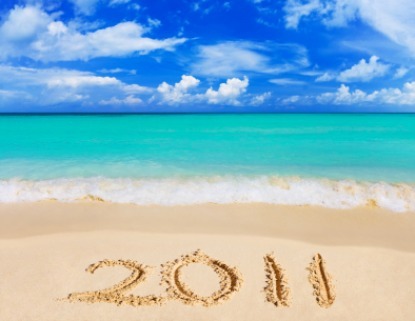 I have decided that today is the day that 2011 starts for me. As I sorted through the details of everything that happened last year, I started to question again my quest for balance. What was the quest really about and what did I learn from the things that I implemented in my life in 2010? Is this more then a quest to find the balance between me as the business owner, me as Jake’s mom and me as my own person? All that sorting and questioning led me down the path where a certain word kept following me in every place I went in my search for answers. The word that kept popping up was authentic and then that brought to me the concept of finding what was truly ‘authentic‘ in my life It sounds like such a buzz word that marketing folks like to throw around but when I looked it up, this was definition that I found: Authentic – not false or copied; genuine; real. So what is ‘genuine, real’ in my personal life, my growing business and my world of Mommy and Jake? I don’t think that I could have answered that last year and now … well …I’m still not really sure that I could answer that question. That’s about as honest I can be with you all right now. As I continued to sort through everything, I found myself sharing my personal troubles with a trusted mentor. She said something that stuck with me but it was so significant that I wanted to share. She said that there are many people and problems that will come into our lives and will do these horrific things to us but we should always know that these people are just the messengers. Don’t be angry with the messengers but instead look to this as an opportunity to find the message. So here we go again … the Quest for Balance has taken another turn into a Quest for the Balance to find the Authenticity in my life. This is now the year of me, the year to find out what the message is that I’m suppose to learn and to find out just what living an ‘authentic life’ really is.